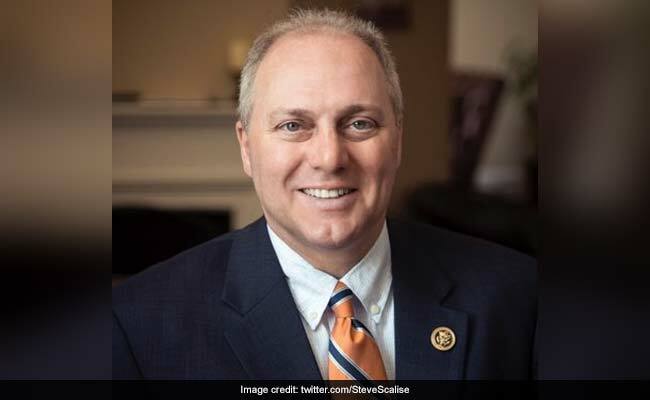 The third-highest ranked House Republican and at least four others were injured Wednesday morning in a shooting at a congressional baseball practice field in the Washington suburb of Alexandria, Virginia, witnesses and police officials said. House Majority Whip Steve Scalise was shot in the hip, Rep. Mo Brooks, R-Alabama, said in a phone interview on CNN after witnessing the shooting. A congressional staffer and two members of the lawmakers' security detail were also injured, Brooks said. Brooks said he saw a man with a rifle. Alexandria police said a suspect was in custody. "There must have been 50, 100 shots fired," Brooks said. Brooks said members of the security detail fired back with pistols at the shooter until the shooter was tackled to the ground. "Our lives were saved by the Capitol Hill police. Had they not been there I think it would have been a massacre," Sen. Rand Paul, R-Kentucky, told CNN. "You are completely helpless," he said, having no defenses and being unable to help those who were injured. "The field was basically a killing field. If you were to run out there while the shooter was still shooting, he would have shot anybody," Paul added. "He was shooting people as far away as right field. That's probably, what, 75 feet away." Rep. Brad Wenstrup, R-Ohio, who served as a military surgeon in Iraq, attended to Scalise after the shooter was down, Brooks said on CNN. Brooks said he and other lawmakers tried to apply a tourniquet with his belt for an injured person who was bleeding. Rep. Roger Williams, R-Texas, who coaches the team, said he wasn't injured but that a member of his staff was and is receiving medical treatment. Alexandria police Chief Michael Brown said officers are investigating the incident, which was reported shortly after 7 a.m. local time and occurred at Eugene Simpson Stadium Park, about 8 miles south of the Capitol, three miles south of Ronald Reagan National Airport. Local police responded within three minutes, Brown said. "Two of our officers engaged in gunfire, return fire," he told reporters but declined to give details on the victims or the shooter. "It's an active scene. We have a lot of witnesses who we're having to interview." The House Republican baseball team has been practicing in recent weeks in early mornings at the Alexandria site for Thursday's annual congressional baseball game. Scalise has been an avid participant in the game since arriving in Congress. As whip, he is the chief vote counter in the Republican conference. Brooks said the assailant "was trying to take out our security detail" before he turned to lawmakers. Rep. Ron DeSantis, R-Florida, who left a few minutes before the shooting, told Fox News that a man walked up and asked if Republicans or Democrats were out on the field. The man wasn't carrying anything, DeSantis said. "The encounter I had in the parking lot was very, very strange," DeSantis said, although it is unclear whether the person was the assailant. Paul told MSNBC that he was in the batting cage when he first heard one isolated shot and then a rapid succession of shots. He saw Scalise dragging himself to the outfield. The security detail was present because Scalise is in a leadership position in Congress, Paul said. Otherwise no officers would have been present. House Democrats, meanwhile, were at their own, separate practice and prayed for their colleagues on the field. Rep. Ruben Kihuen, D-Nevada, said in a tweet, "@HouseDemocrats praying for our @HouseGOP @SenateGOP baseball colleagues after hearing about the horrific shooting. 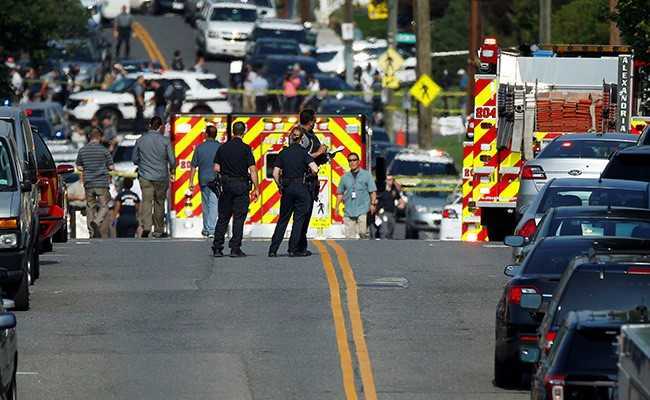 The shooter continued to fire a semi-automatic weapon as lawmakers and their staff members ran in various directions to escape the barrage of bullets, he said. Brooks and several others hid at a batting cage behind the first-base side of home plate. At least one person hiding there was injured in the leg. President Donald Trump said he and Vice President Mike Pence were monitoring developments closely. - With assistance from Laura Litvan and John Hughes.